What earbuds should I buy? 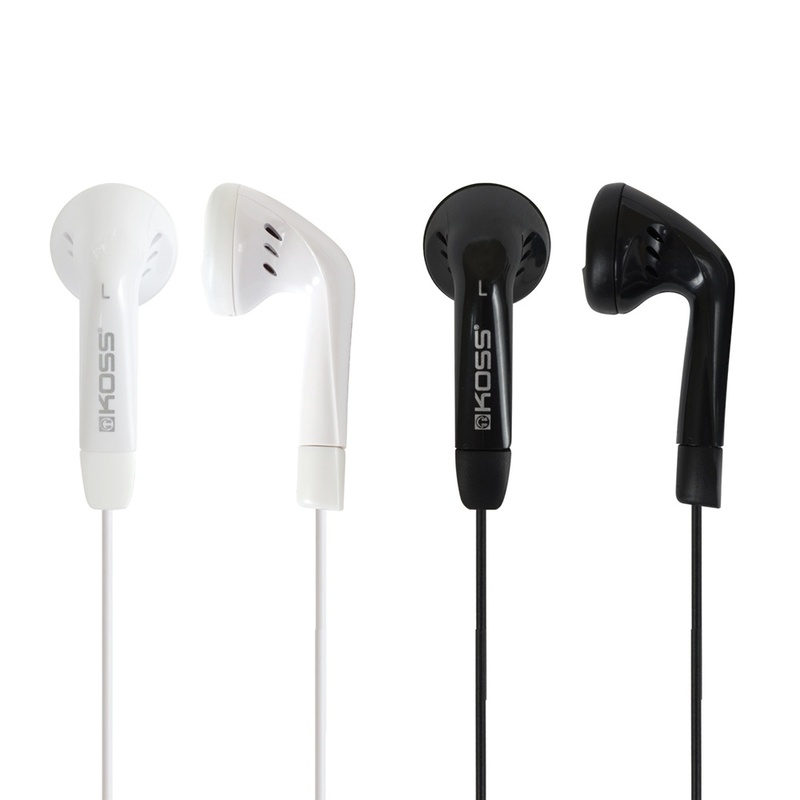 Post subject: What earbuds should I buy? I'd love for them to work for music but also for podcasts (so no bass boosting because podcasts sound garbage with boosted bass). It would also be nice if they worked for gaming since these Audio-Technicas are starting to lose their structural integrity and won't stay up against my ears very well. Is there even an earbud that does all these things? Post subject: Re: What earbuds should I buy? Do you want Earbuds specifically, and not IEMs? For gaming you want a mic and a 3.5 splitter included? (And other smartphone stuffs). That stuff will add failure points to them. I would say for budget stuff, look at Soundmagic, Brainwavz, and perhaps Koss and Sony stuff ($25-75). I know there are 100 other brands now on massdrop but i don't know about durability of them. The Shure SE215 is usually the "starter" IEM for musicians, producers, and audiophiles. I'd like to ask for them for Christmas, so I don't really have a budget. I just want them to do well and not disappoint me in a year or two. I don't think I'll need a splitter, because I could probably just use my zalman mic. I doubt I'll use them to talk on the phone. I would really recommend IEMs. I've been in the market for good "earbuds" for a long time until I found a deal on Massdrop for MEE M-Duo for $32. I've never heard of them before but saw had good reviews and bought it. I've been using them for 2 years now and they work great. Best sound and quality IEMs. They have a tweeter and woofer in each piece so heigh to low are much less likely to get lost like with single driver ones. I'm a heavy user so I use them every day multiple times, and when I don't use them they're either tangled in my pocket or hanging from my shirt and It's shown little to no signs of wear. The L shaped 3.5mm connector is good quality so it wont break from being bent over time. Unfortunately afaik the M-Duo are discontinued and hard to find online for a reasonable price but just from those I would recommend newer MEE products but take that with a grain of salt because I'm heavily biased towards them since they've been my only good quality pair that lasted for a long time and sound great. Hmm that's a resounding review. Yeah I really sound like I'm fanboying all over it. I'm just really enjoying them because all previous ones I've had were either garbage or sounded great but died/worn off within 6 months. They do have a few downsides tho. The in-line controls only have play/pause and the microphone only managed to work once. nvm apparently they have been cheap everywhere. I really like these Shure SE215's. The only thing I hate about them is I seem to lack the basic spacial awareness required to put them into my ears in less than five minutes. I accidentally took my beloved M-Duo for a swim in the atlantic ocean during my vacation. Now they have really weak high frequency lows and generally are way quieter. And so now I'm looking for new IEMs. I'm not sure if I should go for single monitor or stick to dual. For single I'm liking the MEE m8 sport (pro are more expensive and not designed for musicians that casual listening). But in terms of dual monitor i found 1MORE's dual driver variant to be interesting. Its the only single chamber that i found that doesnt require robbing a bank. Dual chamber ones are cheaper but god they look so awkward. Looks like that website stopped hosting those pictures and nobody's work anymore. I can get on that train. travie's is actually the only badger info I know. which is really weird for me because I am that person that knows facts about everything that no one cares about. I thought he made up a fake fact. Turns out, badgers are scarier than originally assumed. While I believe badgers are not nearly respected enough in general, i still maintain that honey badgers are badger imposters that only gained their title because no one could figure out a better place to put them and said, "let's just stick them here and hope no one questions it."